Whether you went to public school, private school or were home schooled, you had certain experiences that shaped you. In those moments of class room discussions, friend groups, piles of homework, team sports and even lunch time- you started to become the person that you are today. When brought up in conversation, people usually have mixed feelings about their educational upbringing. Some people loved everything about school, others not so much. The lack of interest in school, for some individuals, came from reasons out of their control like lack of money, food or parental involvement. A school in Akron, Ohio is hoping to change that. Lebron James was tired of seeing low-income students receive sub-par education and decided to do something about it. Earlier this week, James opened the first-of-its-kind school dedicated to helping underprivileged children receive an education that reflects their potential. The I Promise school welcomed 240 third-and fourth- graders who were previously under performing in their schools. 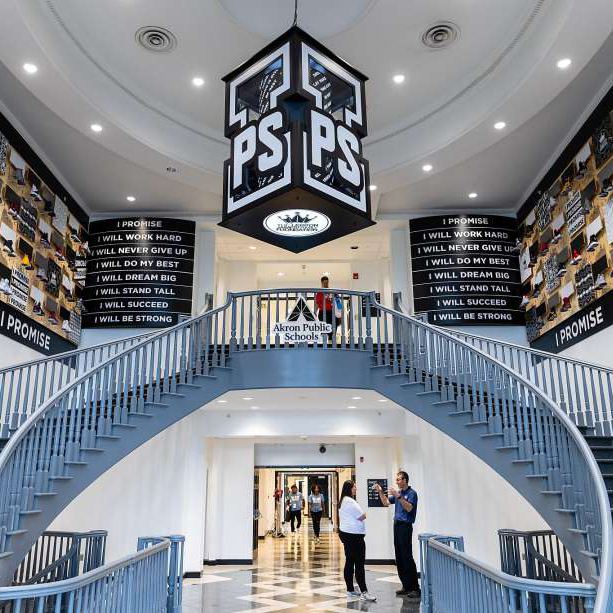 The I Promise school is changing the face of education. By 2022, the school hopes to expand to approx. 1,000 students who range from first to eighth grade. Congrats Lebron, for bringing positive change to the educational system and showing the kids in Akron that they can be anything.